How Close Is Yellowhammer With Speaker Hubbard And Swatek Firm You Be The Judge » Mr. Dunn Goes to Montgomery | Who's Behind the Mask? Mike Hubbard’s book, “Storming the Statehouse,” written by Hubbard and David Azbell, of the lobbying/political consulting firm Swatek Azbell Howe & Ross. Among other things, the book reveals the close connections between Hubbard and the then future members of that firm, as Hubbard and the firm members close ties to PSC President Twinkle Cavanaugh. Though the contract is technically with Azbell’s firm, other members also participate in providing the described services. Among the blue chip clients listed on the Swatek firm’s website are Alabama Power, its sister company, SouthernLINC Wireless, and the parent company of both, the Southern Company. 2. Yellowhammer News: For the past two years, Yellowhammer has published what it calls the, “Power & Influence 40,” ranking the 40 most powerful people in state politics. Three of the four members of “SAHR Group” are on the 2013 rankings. Then again, they probably participated in the selection process and may even have written some or all of the entries.. Here are the three and what is said of each about his relationship with Hubbard. 3. Hubbard’s Book, “Storming the Statehouse”: The book was co-authored by Hubbard and Azbell and is written in the first person, in Hubbard’s “voice.” All four members of the firm, as well as PSC President Twinkle Cavanaugh, appear throughout the book. Eighteen of the 40 most powerful people in Alabama politics, per Yellowhammer, are elected officials or state employees. Of the remaining 22, a whopping 13 have direct ties to Alabama Power. The Power Company’s tentacles reach into every crevice of Alabama state government. They’re the biggest external force in the legislative process, but they also keep tabs on little-known government agencies. And it all starts with McCrary. In a career defined by immense power and influence, McCrary’s power may be at an all-time high. 10: Joe Fine: Lobbyist with Fine Geddie & Associates, the top lobbying firm in Alabama for decades. 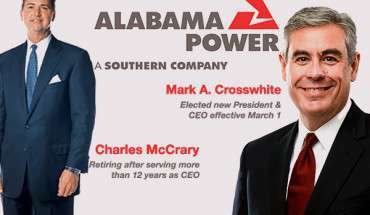 Among its blue chip clients, and going way back: Alabama Power. 13: Dax Swatek: See above. 14. Bob Geddie: The other big name in Fine & Geddie. 17: Joe Perkins: Founder and head of political consulting firm Matrix LLC. Has provided services of an undetermined nature for Alabama Power for 15 years or more. 20: Zeke Smith: Executive VP of External Affairs, Alabama Power. 21: Steve Windom: Former lieutenent governor, now lobbyist. Among his clients: Alabama Power. 23: Gary Neal Drummond: Chairman, Drummond (Coal) Company. Drummond Coal is a major seller of coal to Alabama Power, and the two companies have long been politically attached at the hip. 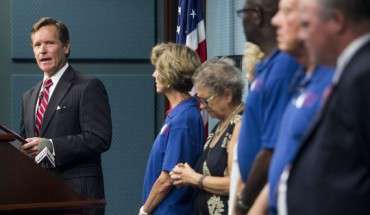 Utilities can’t donate to Public Service Commissioners, but coal companies can. Drummond has long helped fill that void for Alabama Power. 26: Quentin Riggins: VP of Government Relations for Alabama Power. 29: David Azbell: See above. 31: John Ross: See above. 34: Johhny Johns: CEO of Protective Life Insurance. A member of the Alabama Power Board of Directors. 36: Nick Sellers: VP of Regulatory and Corporate Affairs, Alabama Power.